Somme Things I Think About: How did wine bottles get their shape? How did wine bottles get their shape? Take a deep breath in, and now blow it out. The total amount of air you just blew out is the amount that a glass blower needed to make one wine bottle! A lungful of air from an experienced glassmaker could blow up a bottle to a volume between 700ml to 800ml depending on the person. And if this sounds somewhat familiar, it’s exactly why in 1979, the US standardized the bottle at 750ml. Obviously, wine has been stored in various containers used for both storage and transportation, from the ancient amphorae found in shipwrecks to straw encased bottles from Chianti, called a Fiasco. The coal furnace was first invented in the 1500s, and with better versions in the 1700s, glass blowers could affordably heat up silica to 1500 degrees and make the production of wine bottles, using forms, a standard practice. 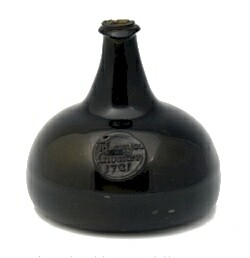 At the same time, wines were being stored for longer periods and needed a bottle to store on its side – something the traditional onion shape or tear drop shaped bottle (see below) would not allow. Now the questions begging to be asked is since we have standardized the amount wine that goes into a bottle, and we have started to store them longer, why do we have so many different bottle shapes? Why not just use one standard bottle? Bordeaux being the most expensive wine at the time had the greatest need. The Bordeaux bottle is tall with “shoulders” so it will lie down easily for ageing and when pouring the “shoulders” will hold the sediment inside the bottle. Burgundy was at once thought to be cheaper than Bordeaux and of course wouldn’t require such an expensive bottle so the round fatter “soft shoulder” bottle was used because the glassblower could make it quicker and cheaper. The Alsatian flute so ubiquitous with Rieslings was invented by the Germans so that it would fit into their packaging crates evenly, no other reason, and is now the only bottle permitted by law in Alsace! 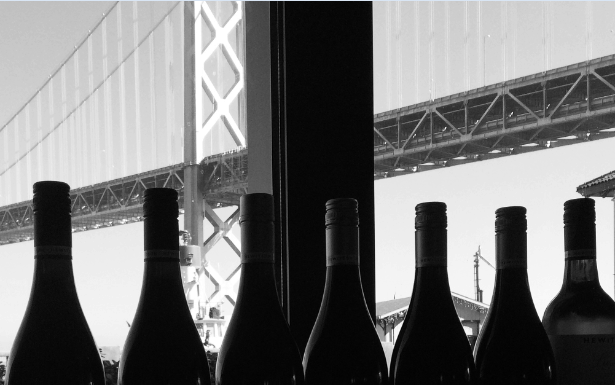 Now it is a matter of tradition that Cabernet will come in a slender shouldered bottle and Chardonnay and Pinot comes in a burgundy shaped bottle. No law (outside of Alsace) is stated that demands it, but sometimes the old ways are comforting and old habits are hard to break!